In this recipe, the honey-lemon marinade coats the shrimp in a tangy-sweet sauce that turns golden and delicious after a few minutes in the oven. The coconut aminos and fish sauce add a slightly Asian touch: coconut aminos are a Paleo-friendly replacement for soy sauce that you can buy at Whole Foods or most other health-food stores. 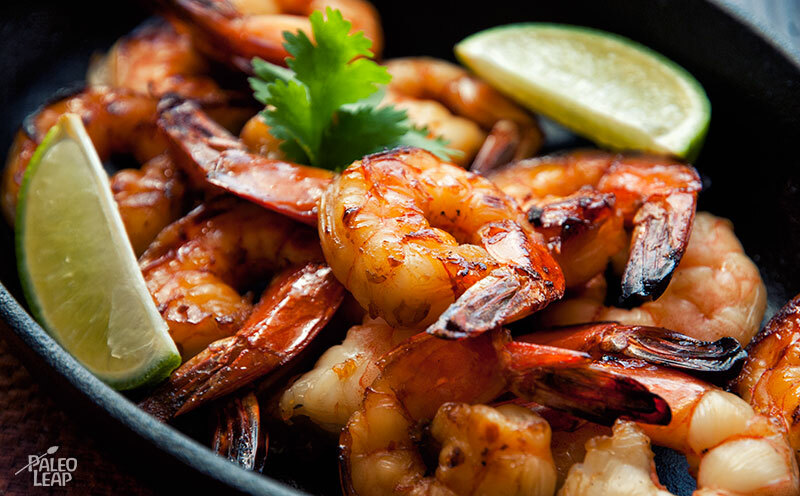 As with most Paleo recipes, the honey is optional, but if you leave it out you’ll end up with a more pronounced citrusy “bite” to your shrimp. You could serve these tasty shrimp atop a big salad: they’d be great with some crunchy Asian vegetables like water chestnuts or bamboo shoots. Or just pair them with your favorite vegetable side: some Brussels sprouts, perhaps? They’d also be great stuck on individual toothpicks as appetizers or a potluck dish; honey and lemon is an interesting replacement for cocktail sauce. But however you eat them, you certainly couldn’t ask for an easier plate to put together, leaving you with all the time in the world to sit back and enjoy your dinner. SERVES: 4 PREP: 5 min+30 min COOK: 10 min. In a large bowl, combine the coconut aminos, honey, lemon juice, lemon zest, garlic, fish sauce, and season with salt and pepper to taste. 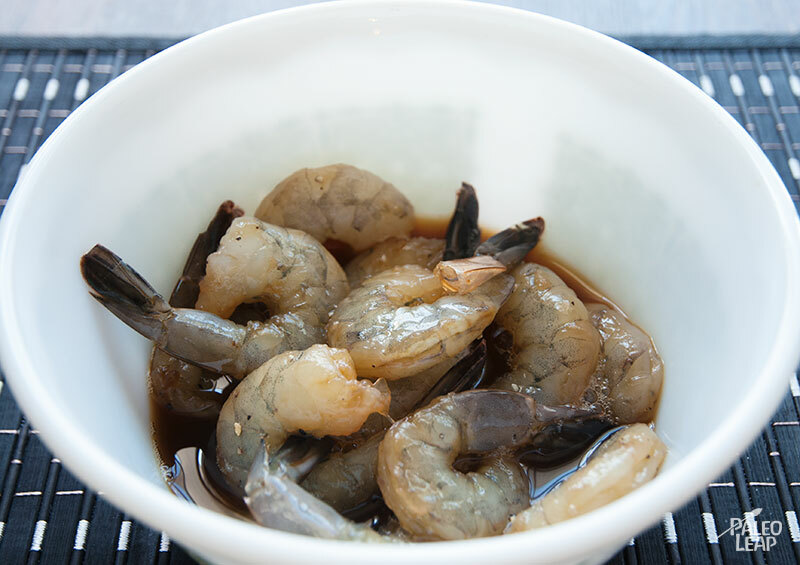 Add the shrimp to the sauce and marinate in the refrigerator for 30 min. to 12 hours. Place the shrimp on baking sheet and bake in the oven for 6 to 8 min. (or until firm and cooked through). Serve warm with some lemon or lime wedges.